The Amilcar CGSS was depicted in the Tintin adventure, “Tintin in the Land of Soviets”. It was a sports car made by the Amilcar company from 1926 to 1929. 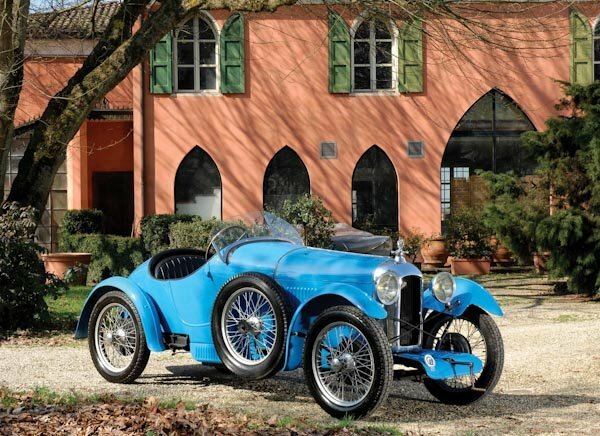 Amilcar itself was a French company that produced cars from 1921 till 1940. The company had been established by Joseph Lamy and Emile Akar in July 1921 in Paris. The first car built by the company was a two seat cycle-car. The French government defined the cycle-car as a vehicle which weighed less than 350 Kgs dry, seating no more than two people and having an engine displacing less than 1100cc. French law set the annual tax on such cars as 100 Francs, which was a rebate over the existing taxes. Something similar to the definition of the small car in India, less than 4m in length and with a petrol engine not exceeding 1200cc or a diesel engine not displacing more than 1400cc. Amilcar manufactured cars with engine displacements varying from 903cc to 1074cc. The 1074cc engine was installed in the most famous model of the company called the Amilcar CGS (Grand Sport) and the Amilcar CGSS (Grand Sport Surbaisse). This engine had a side valves with splash lubrication and three speed gearbox. There was no oil pump fitted to this engine. The flywheel of the engine dipped into a sump and lifted the lubricant up to a cup. From this cup, the oil ran down by gravity to the main bearings and big-end troughs. The engine had a multi-plate clutch which ran in oil. This clutch was coupled to a sliding-pinion type three speed unit gearbox.T his engine produced 35 HP. For people looking for more power, the company fitted a Cozette Supercharger to the engine. The car had a conventional propeller shaft drive but the rear axle had no differential. The engine was cooled by thermo-siphon without the aid of any water impeller or fan.The car had a unique braking system wherein the handbrake worked on one rear drum and the foot brake on the other. These cars usually had no doors, while one door could be ordered in the less sporting models. In order to reduce the width of the car and the space occupied by the driver and passenger, most of the bodies had staggered seats. This plan was in vogue in racing cars for years where the passenger (or mechanic) sat further back than the driver and passed his right arm behind the driver’s seat. An Amilcar CGSS installed with Cozette Supercharger won the 1927 Monte Carlo Rally.